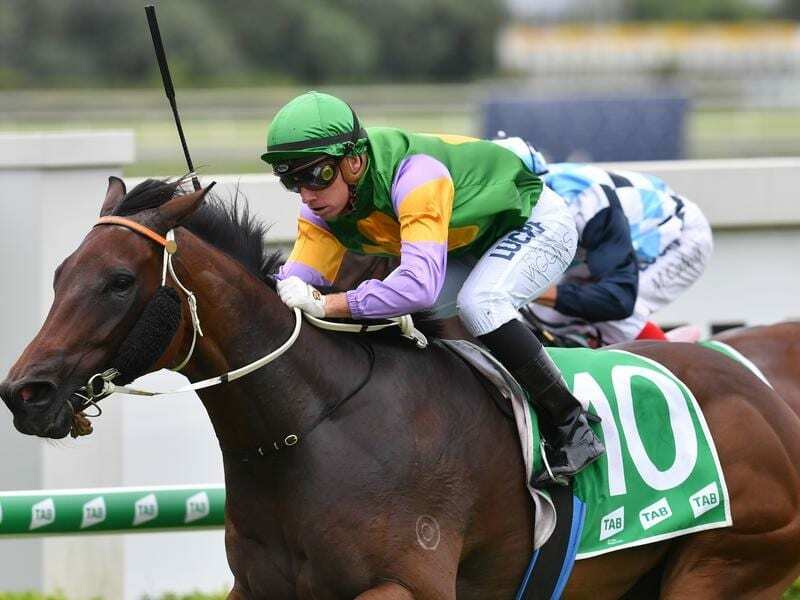 The Kris Lees-trained Power Command appreciated a wet track to win at Doomben. Newcastle trainer Kris Lees signalled he was ready for a big winter carnival when Power Command won at Doomben. Lees set up a Gold Coast stable late last year and has gradually been building up his team. Power Command ($8) was suited by a break neck pace early before running on strongly to win the TAB Handicap (1050m). Lees’s Gold Coast representative Mel Eggleston said the stable had not had many Saturday runners in recent times but would have plenty in the next few months. “Kris is in Dubai (with Brave Smash) at the moment but I spoke to him before he left and we are looking at having a good winter,” Eggleston said. He isn’t counting Power Command among the winter hopes but thinks she will win more races. “She hadn’t won first up before but she was suited by the last early pace and she had trialled well,” Eggleston said. Jockey Ryan Wiggins was also impressed with Power Command over the final 200m. “They go hard in races up here and that will suit her again in the future,” he said.